I saw this (lesser-known) film classic on Hulu a few days ago. It’s a very smart, mature, and full-bodied movie (w/ many important themes). 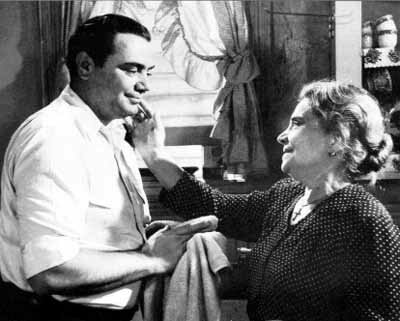 Unlike some old B&W films, this one will definitely engage modern-day viewers (such as fans of Mad Men). 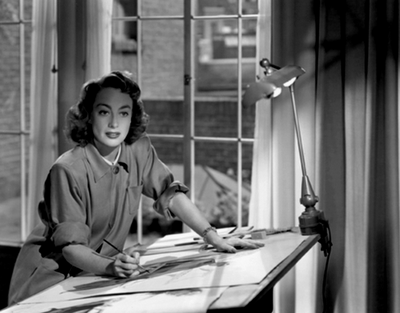 Daisy Kenyon (Joan Crawford) is a strong, independent-minded commercial artist living in NYC. 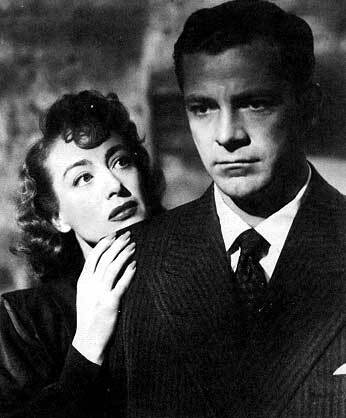 She has been involved for a few years w/ lawyer Dan O’Mara (Dana Andrews), who lives on Park Ave. w/ his wife and two daughters. He’s often in the papers and travels to DC regularly to consult w/ politicians. Dan is used to getting his own way, though he works in his father-in-law’s firm. Daisy and Dan have broken up in the past, but they love each other. But Daisy refuses to live in the fancy apt. Dan has picked out for her; she wants to preserve her independence. 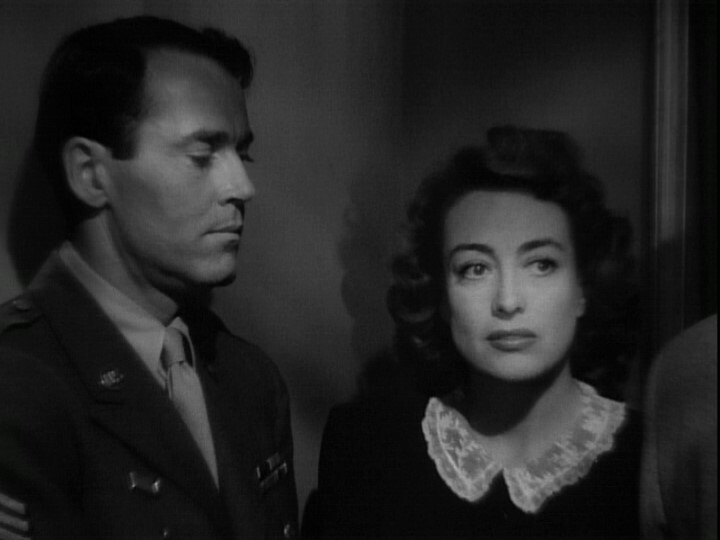 One night, Daisy decides to go out on a date w/ a single soldier, Peter Lapham (Henry Fonda). He’s wondering if he should continue w/ the army or go back to designing ships. We get the sense that Peter needs someone. When he declares his love for Daisy, she is surprised yet intrigued. In the meantime, Dan is off in California working on a pro-bono case. His client is a Japanese-American former GI whose farm was stolen from him while he was serving in Europe. Daisy is very proud that Dan’s working on this case, though his father-in-law doesn’t see any merit in it. Dan is very worried about his girls- aged 11 and 13. His wife and his younger daughter have a very combative relationship. 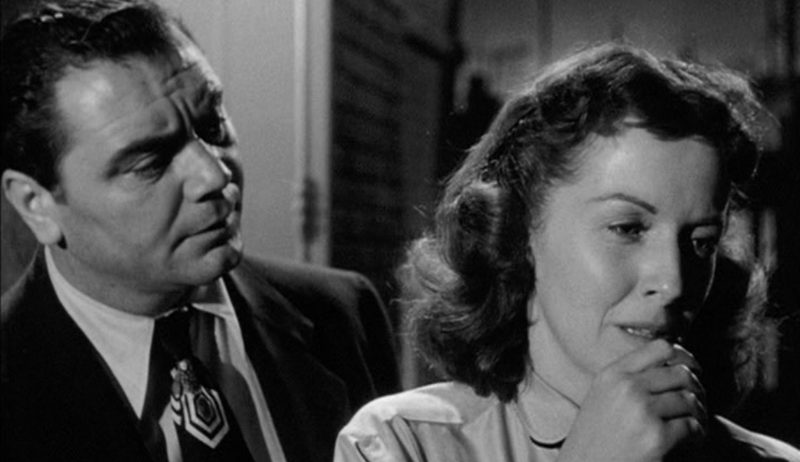 Dan is appalled when he learns that his wife has hit the girl (as is Daisy). Daisy, Dan, and Peter handle their love triangle in a very mature fashion. There are no fistfights here! Even after Daisy marries Peter and Dan gets a divorce, their story is not smoothed out. I saw this film after several years and thought it had some very fine scenes ans clever/funny dialogue. 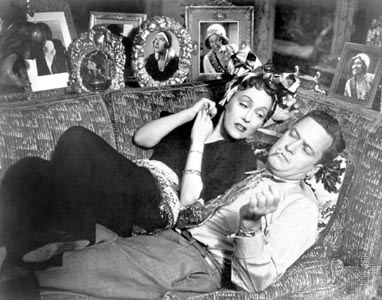 Joe Gillis (William Holden) is a Hollywood screenwriter who’s desperate for work and behind on rent. 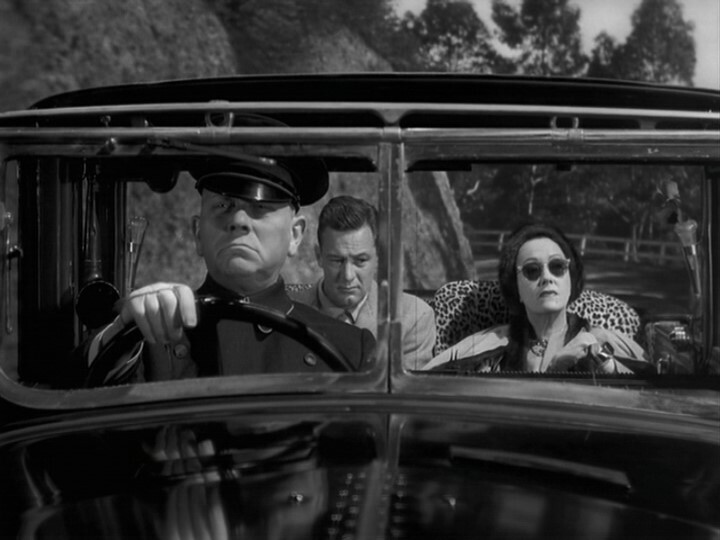 Running from the law, he drives into the garage of a crumbling mansion owned by silent movie star Norma Desmond (Gloria Swanson). She’s quite a character (somewhat reminiscent of Miss Favesham in Dickens’ Great Expectations), and wants Joe to help her w/ her own screenplay. But that’s not all she wants! Soon, Norma is picking out new clothes for Joe, moving his meager belongings into a huge bedroom adjacent to hers, and introducing him to her old pals. Though Norma is consumed w/ dreams of making a comeback, she’s also a very lonely woman. Joe feels no attraction for her, but likes the cushy life she can provide. In the meantime, Joe meets 22 y.o. script reader- Betty (Nancy Olsen), who’s the girlfriend of an assistant director. She’s a pretty, smart, and optimistic woman. Betty loved Joe’s short stories from years back and wants to adapt one into a screenplay. She asks for Joe’s help, so he starts sneaking out of the mansion at night to write. This is a true gem of a film that viewers will be thinking/talking about for days after they see it! 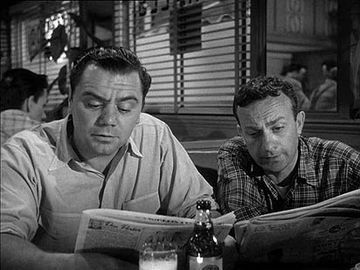 Marty Piletti (Ernest Borgnine) is a stocky, unassuming, 34 y.o. Bronx butcher who’s contantly being asked (by customers and extended Italian family) why he’s not yet married. His brothers and sisters have all married and left the family home, now shared by him and his mother. When his mother presses him to go out on a Saturday night, Marty exclaims that he’s tired of trying to find a girl. “Whatever girls are looking for, I don’t got it!” he concludes in frustration. But he still goes out (to the Starlight Ballroom). At the ballroom, a 29 y.o. 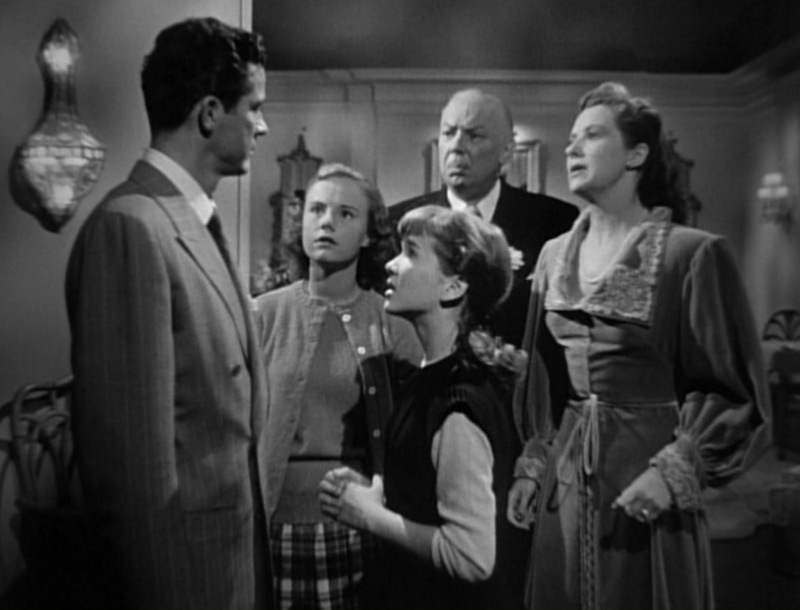 teacher from Westchester named Clara (Betsy Blair, wife of Fred Astaire) is on a date w/ a guy who’s clearly not interested. In the course of the evening, Marty and Clara dance and chat. Marty, who’s used “to other people telling me their problems” can’t stop talking (probably b/c he feels comfortable w/ Clara). She keeps smiling and admits she’s having a good time, too.